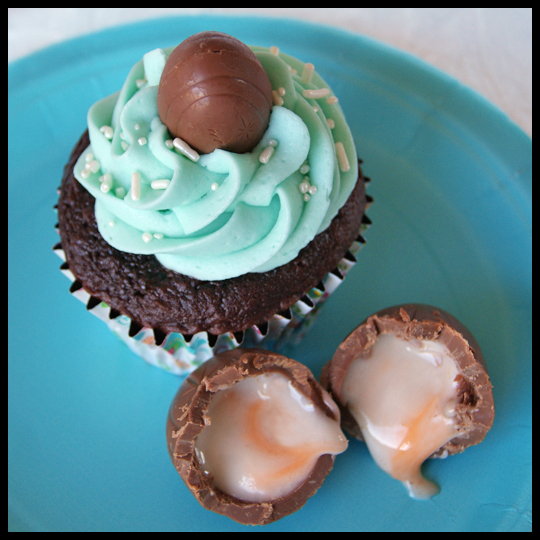 This entry was posted in Baking, Cupcakes and tagged Baking, cadbury, cadbury creme egg, Chocolate, cupcakes, Easter, easter egg, Frosting, orange, Pizzazzerie, teal by Crusader Jenn. Bookmark the permalink. These look delicious! 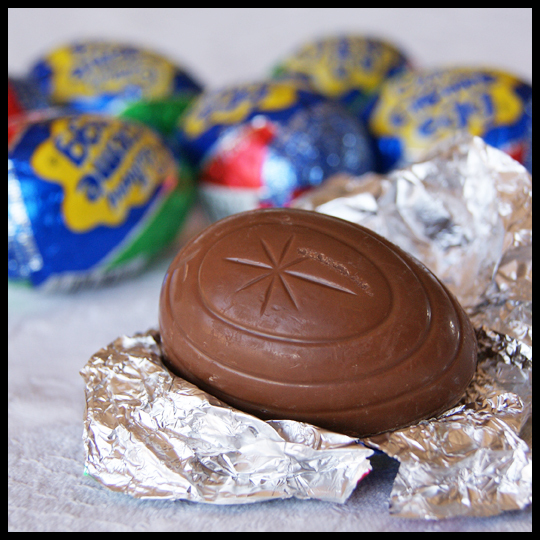 Love creme eggs for Easter. 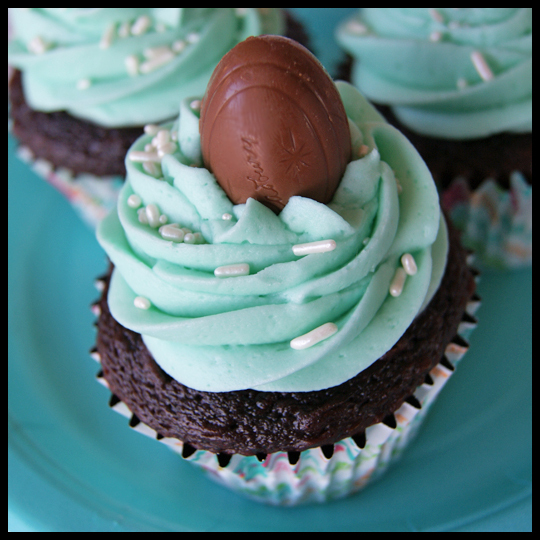 Thanks for sharing and Happy Easter! 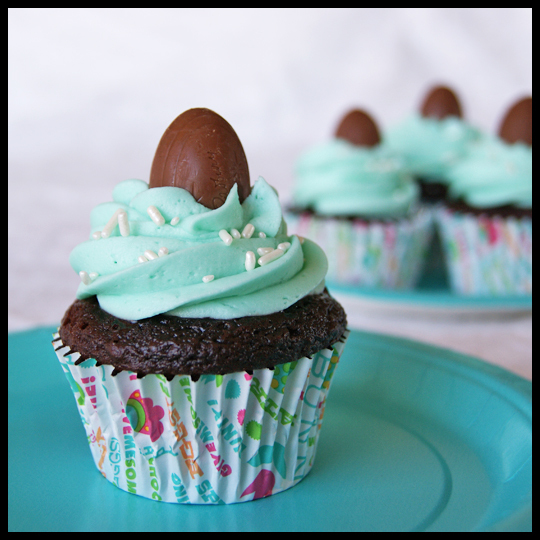 I made these using boxed mix too. I followed the cooking directions, but unfortunately all of the eggs had melted inside the batter! 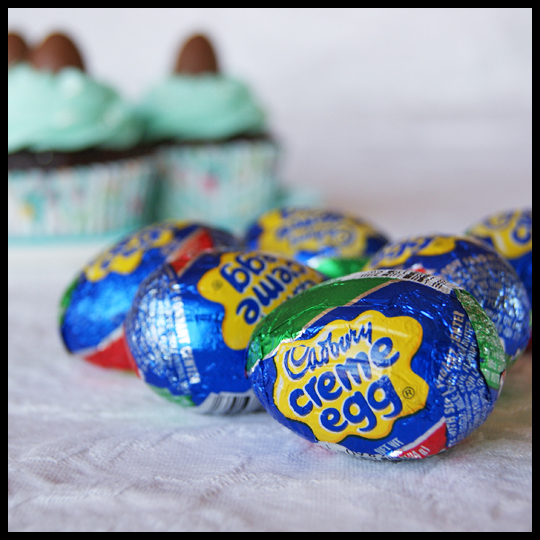 oooh I like your modifications and yes, CAdbury cream eggs rock!